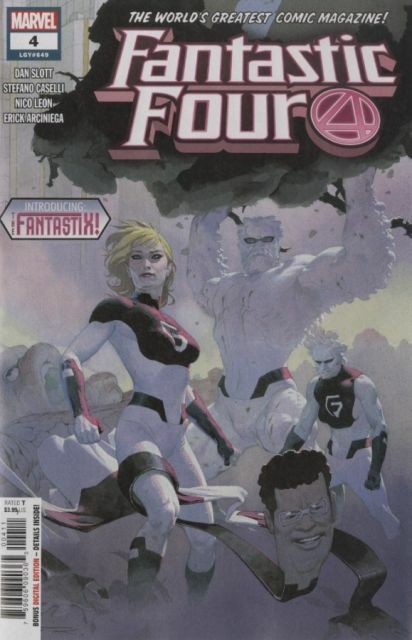 Meet the Marvel Universe's New Fabulous Foursome: THE FANTASTIX! Wait. What?! Who are these imposters? Why are they in the Baxter Building?! And how is it that they own the lease?! A strange new turn in the Fantastic Four's legacy! A secret side mission for the Thing! All this and a special appearance by one of the FF's oldest foes! Diesen Artikel haben wir am 28.11.2018 in unseren Katalog aufgenommen.